With our overwhelming love for online slots, Fever Slots was obvioulsy going to interest us at Place a Bet Online. As soon as you land on their home page you’ll notice all of the iconic symbols of some of the most popular video games around, including Fluffy Favourites and Starburst. So lets dig a little further into the gaming section, which is filtered by ‘most popular’, ‘my favourites’, ‘newest’ and the ability to sort by A to Z. What will really hit you is the raft of games you can choose from, which is predominaently video slots. Although, after a little searching we did discover some bingo and a couple of casino games. To be fair though the site is called Fever Slots, so what more were we expecting. As with most online slots sites, you can access Fever Slots via desktop and mobile devices. So if you have an Android, iPhone or tablet, just think of the fun you could have in your lunch break or when you’re out and about. • Pay by mobile phone bill available via Boku. Most of us have come to expect a bonus when we register, so what does Fever Slots have to offer? When you make your 1st deposit not only will you receive 100% cash match bonus between £10 and £200, but you’ll also get 20 bonus spins on the incredible Starburst. 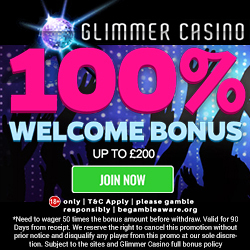 This means you’ll enjoy an astounding 60 bonus spins and a possible £600 in bonus credit, should you add the maximum amount. Spinathon – When you land on the home page of Fever Slots, you’ll immediately see one of the tabs at the top is labelled ‘Spinathon’. After a little investigation we can tell you that this is a fantastic way to reward players. 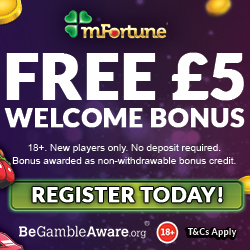 As you play you are awarded points depending on the amount wagered, so for example a £0.1 to £0.49 spin will award 1 Point. As you collect points you’ll move up the Fever Slots leader board and could be one of the lucky 25 players to win a real cash prize every single week. Midnight Madness – If late night gaming is your thing, then this bonus is perfect for you. Head to Fever Slots and the first 250 deposits after midnight on Tuesdays will receive 20 bonus spins. Happy Hours – Each Wednesday funded players will enjoy 10 bonus spins on a top video slot, no deposit required. Mystery Thursdays – By logging into your account on a Thursday, you can look forward to mystery surprises including bonus spins. You join the Fever Slots VIP Scheme when you register and there are 5 levels you can move through, simply by playing (newbie, expert, pro, VIP, legend). Keep an eye on your status through the ‘My Account’ page, because a higher level brings greater rewards. This includes anything from weekly cashback and spins, to birthday bonuses. Terms and conditions apply. Fever Slots bring you the latest news on games and promotions via Facebook. 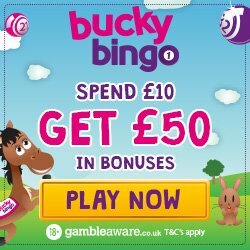 Plus if you post a screenshot of a big win (over £100) on their Facebook page, then you’ll receive an additional 20 spins. If you have any questions or there’s a problem on the site, you can contact a Fever Slots representative via email, live chat, whatsapp or on their Facebook page. Head to the contact us link at the bottom of the site for further details. They accept the usual banking methods including Credit and Debit Cards, Paypal, Paysafe Card and the ability to pay by phone bill using Boku. If the thought of so many video slots is getting you all hot and bothered, then head over to Fever Slots and claim those deposit bonuses.